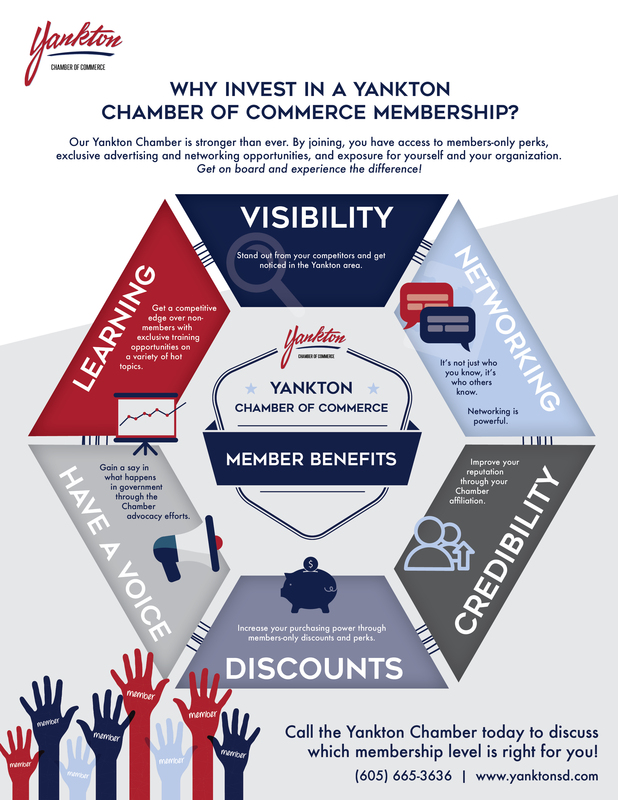 It pays off to be a Yankton Chamber member! 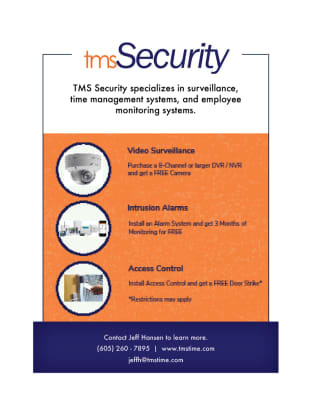 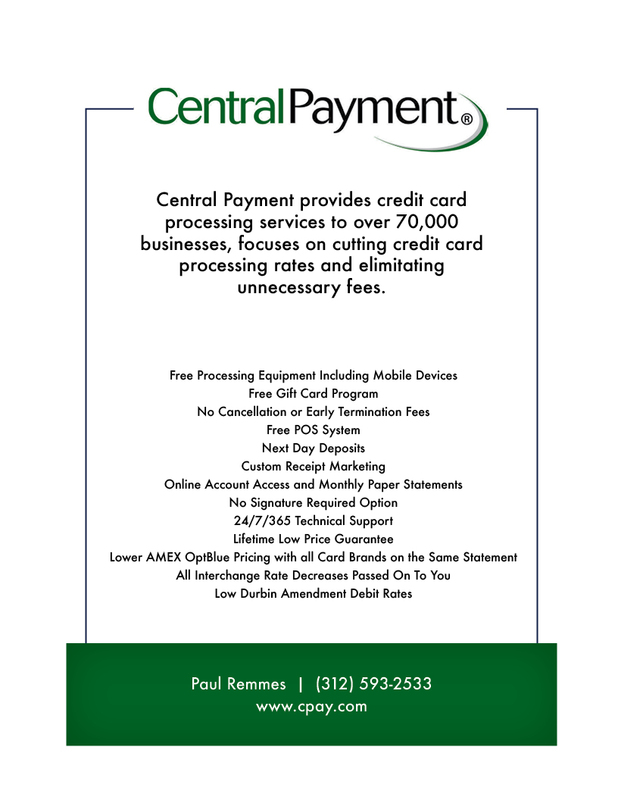 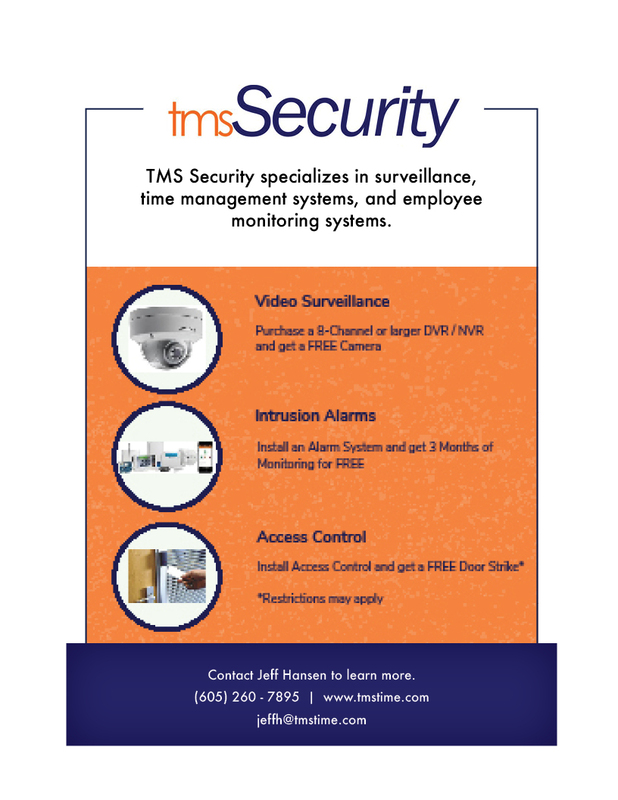 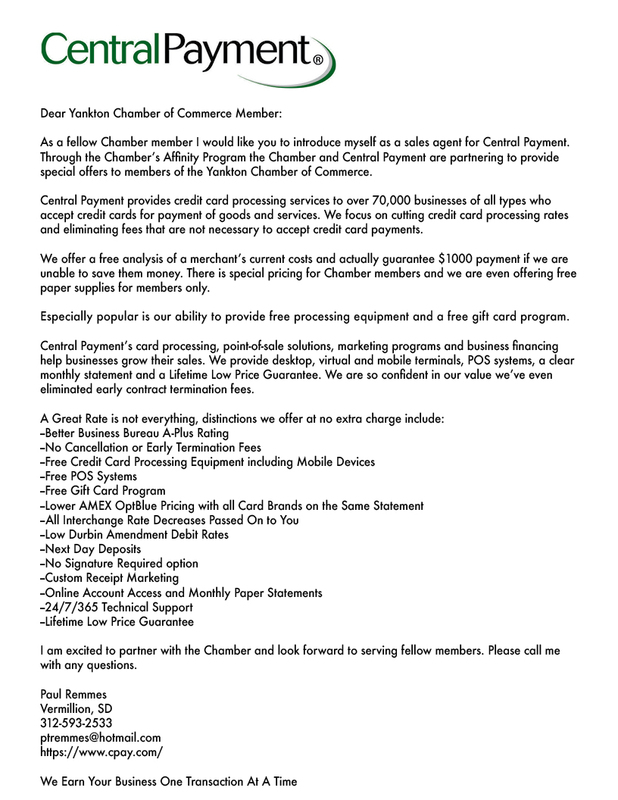 Membership is a valuable investment in your business and one that can reap priceless results. 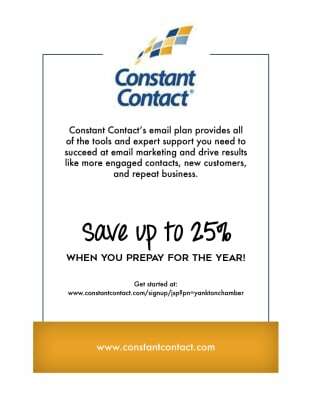 When you invest resources such as involvement in committees, participation in networking functions, and the cost of dues, a positive return is definite. 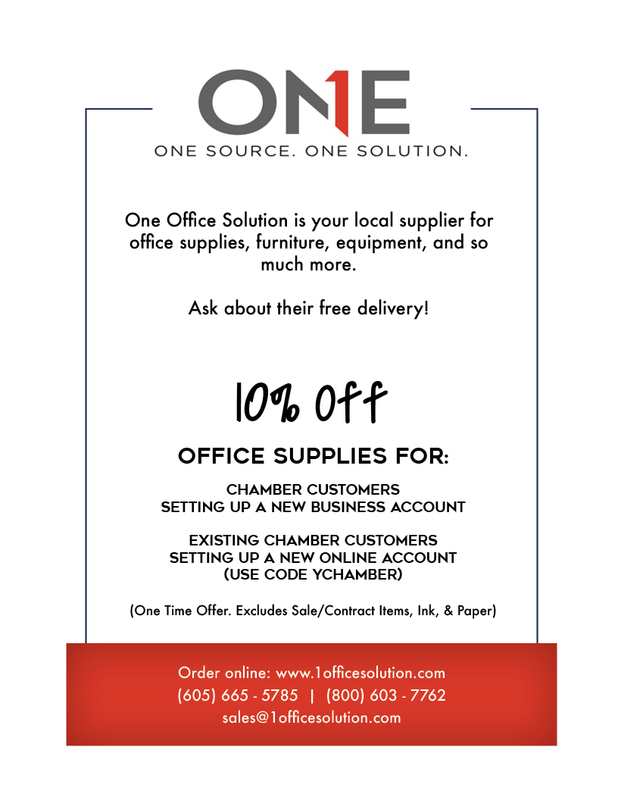 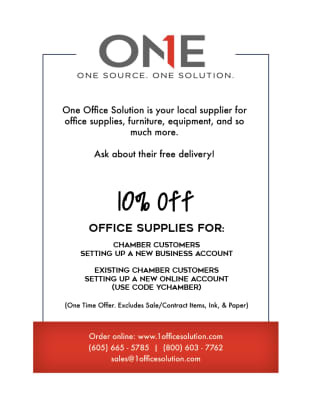 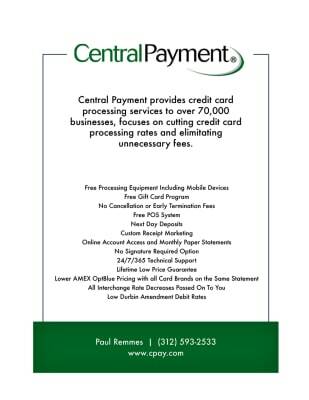 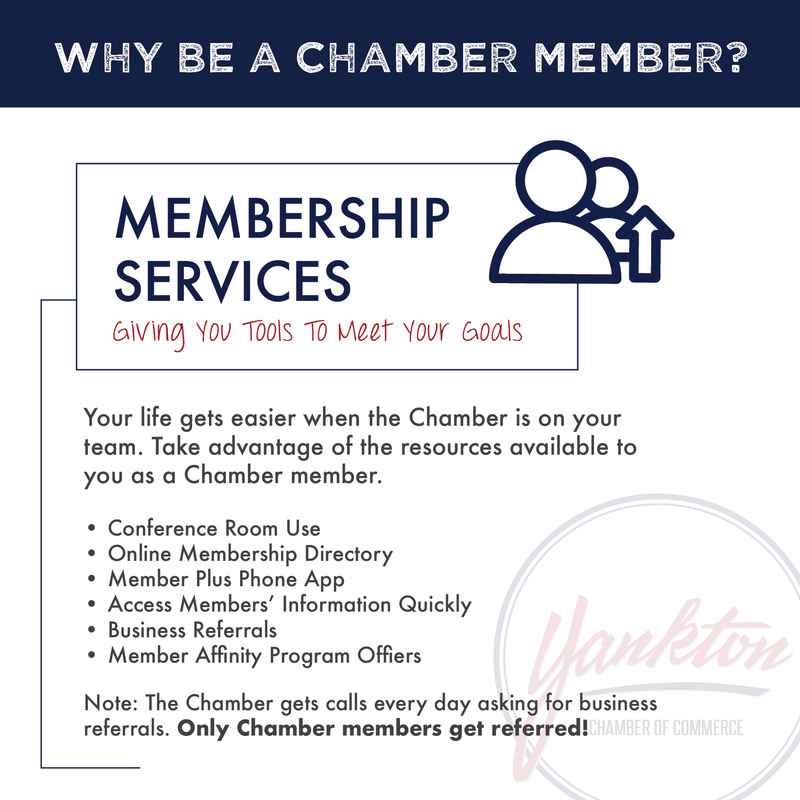 Below is a sampling of the benefits you receive as a Chamber member. 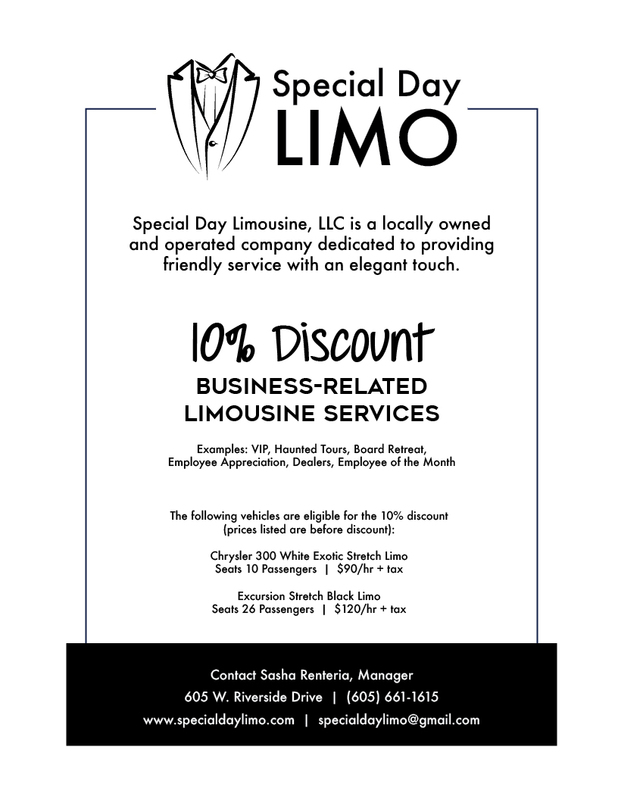 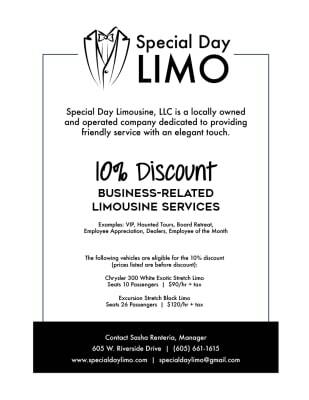 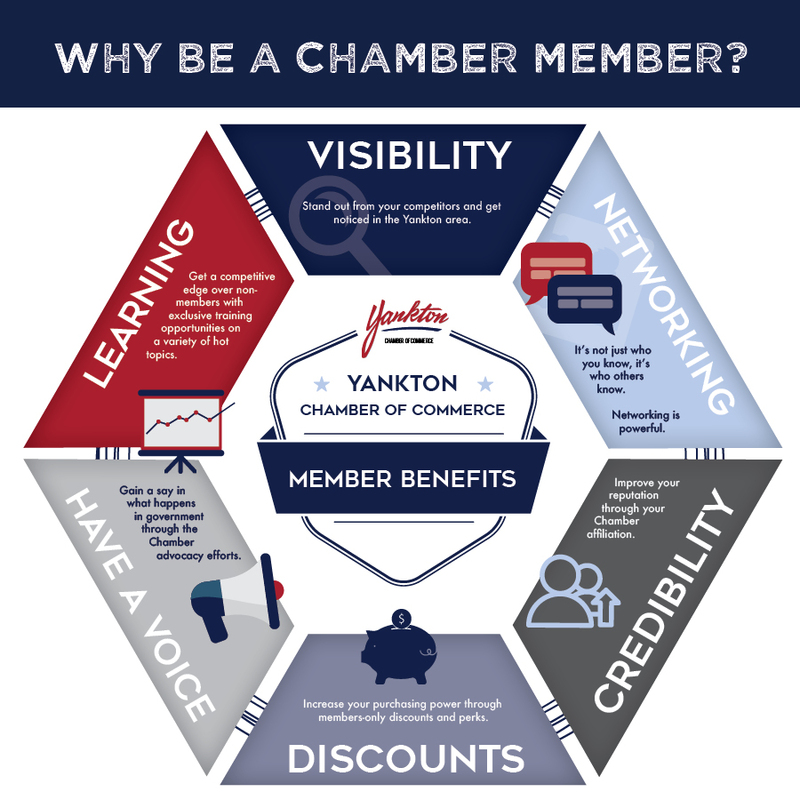 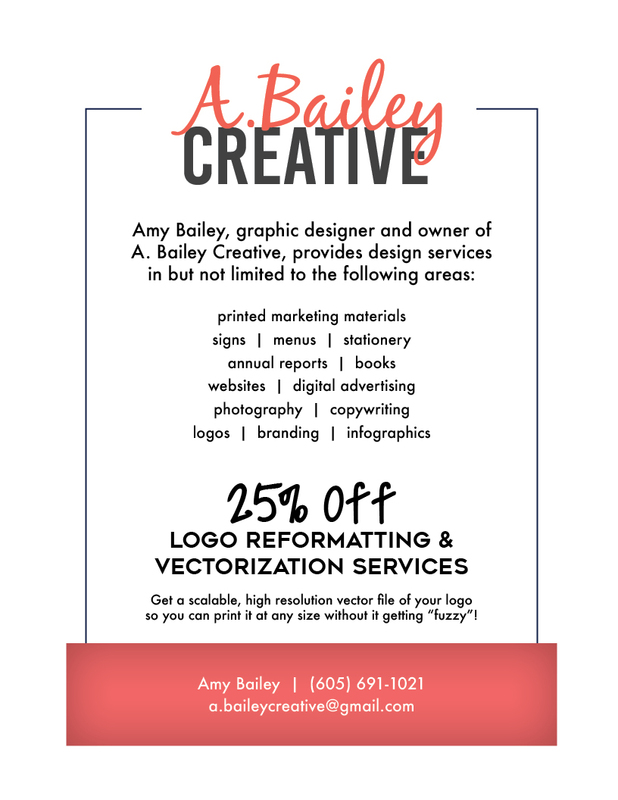 When you're a member of the Yankton Area Chamber of Commerce, you get discounts and special offers that no one else receives! 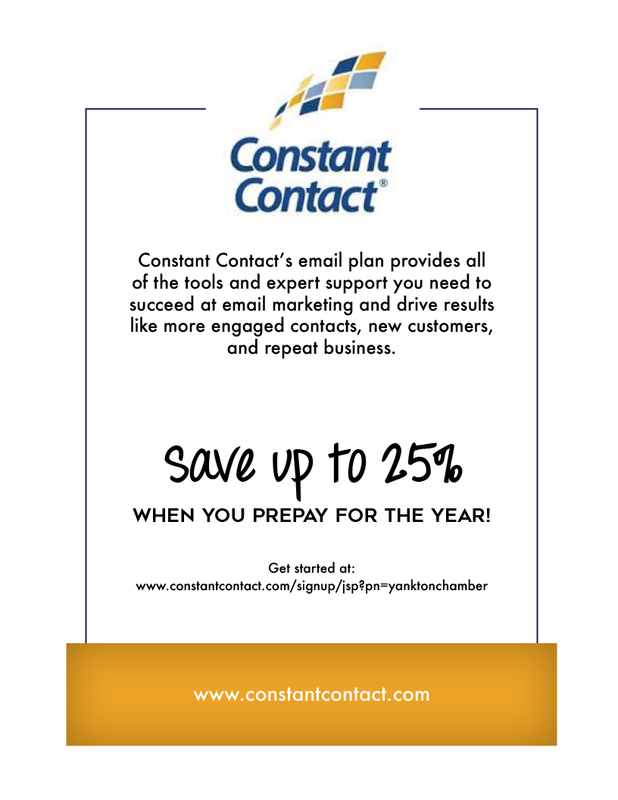 Click on the icons below to view our current member discount offers. 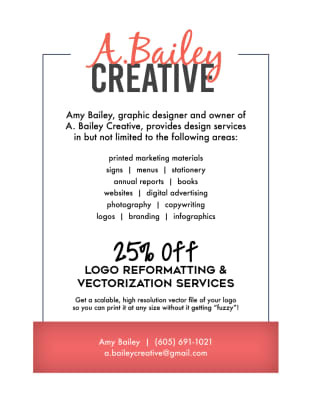 Thank you to our members who have offered these affinity discounts! 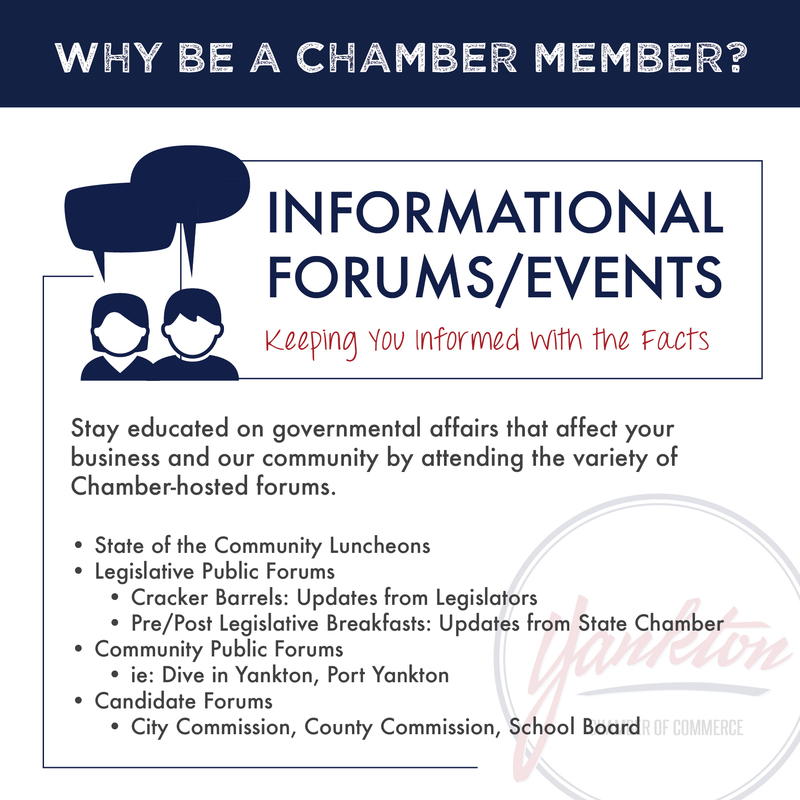 Chamber members and their employees can have a voice and be part of decision making processes by serving on one of our five Chamber committees. 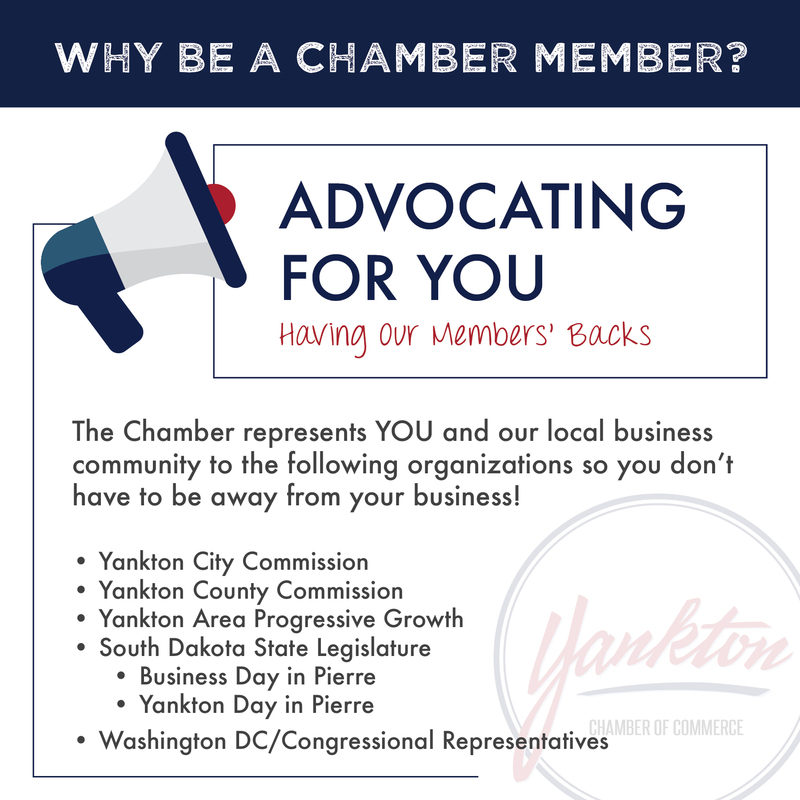 The Chamber advocates for their businesses on the local, regional, state, and federal levels. 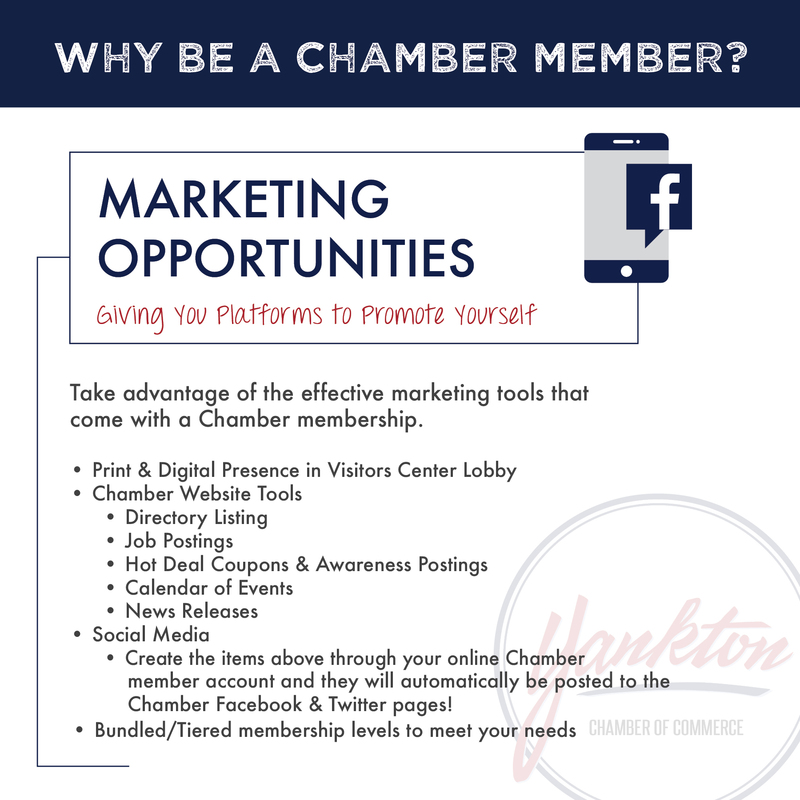 The Chamber hosts numerous events throughout the year that your business could sponsor to gain recognition and attention. 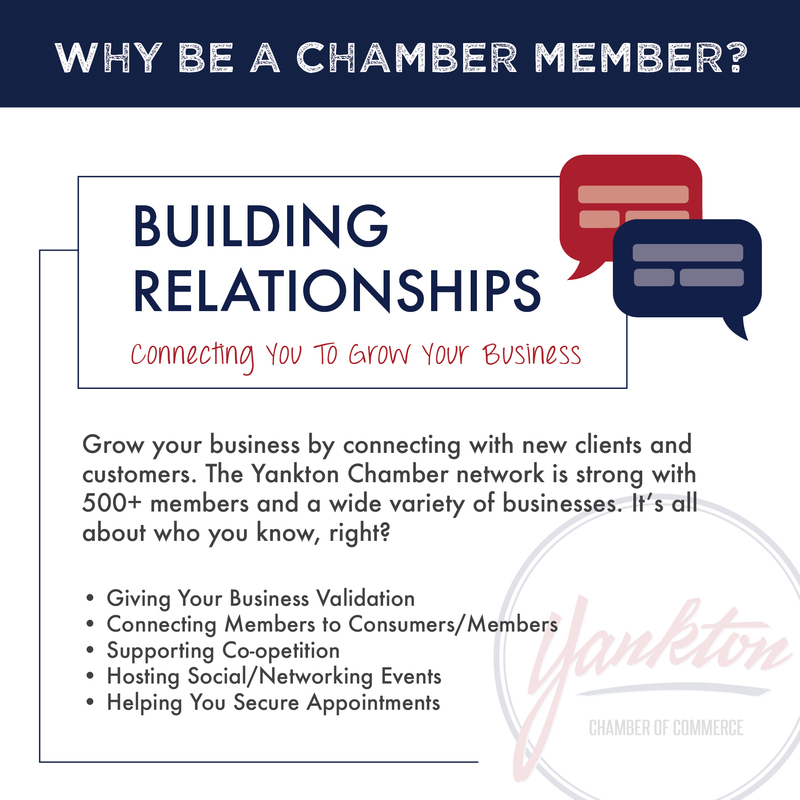 There are endless ways to network with potential partners, clients, and customers when you're a Chamber member. 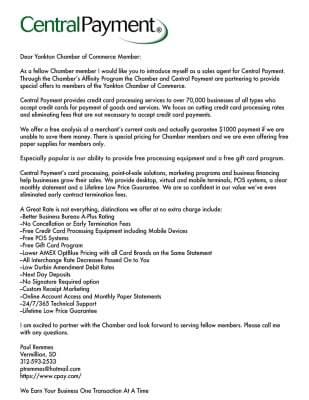 The Chamber facilitates a Chamber Dollars program that encourages community members to spend their dollars locally, in addition to celebrating Small Business Saturday every year. 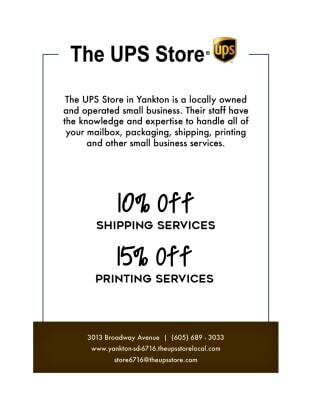 The office receives many requests each day for recommendations on goods and services in the Yankton area. 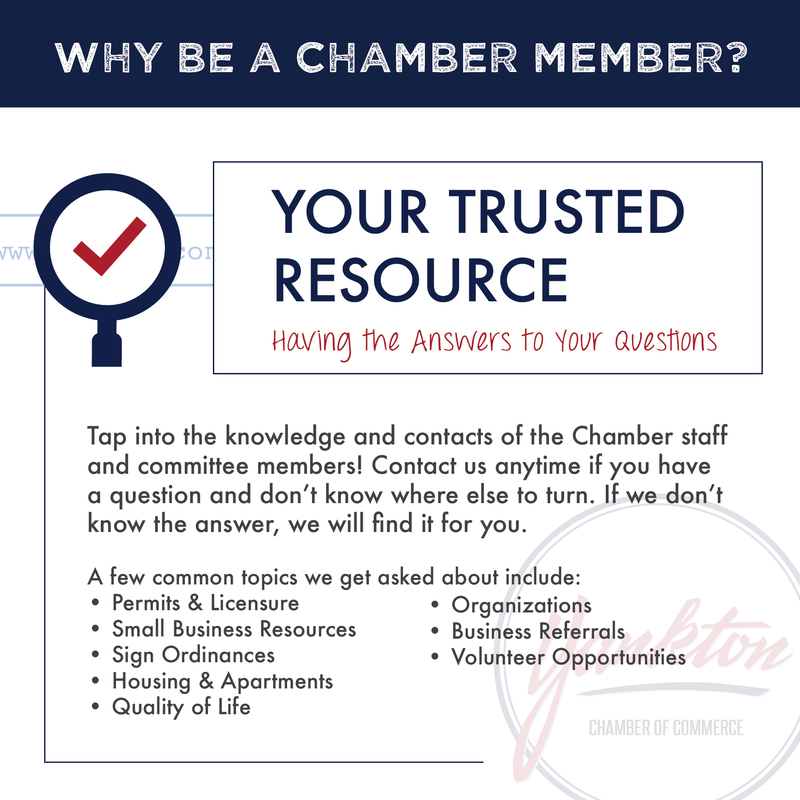 Our staff works to refer Chamber members first.